UK Star Care Ltd offers a specialised care service for people who need care and support with day-to- day life but want to stay in their own home, rather than enter a care home. UK Star Care’s live-in service enables you to remain in your own home, as independently as possible, while being fully supported by a live-in Care Worker. Live-in care enables you to live in familiar surroundings with your own possessions and furniture, so that you have maximum flexibility, choice and control over your life. As long as you are able to provide a separate bedroom for your Care Worker, it’s the perfect home care solution – and you may qualify for financial support from your local authority if this is available in your area. All Care Workers are thoroughly vetted before they start working for us, and their comprehensive training includes at least seven specific courses that they must pass. After that they attend annual refresher courses to maintain standards and help them to develop their skills and abilities. Before your care begins, we will agree a personal support plan with you, detailing what kind of care and support you need and what your preferences are. You will have more than one personal Care Worker to allow them time off, and they will be regularly monitored to make sure they always give the high standard of care that you expect and deserve. You will also have a designated Field Care Supervisor who will review your care satisfaction with you, and will be on hand 24-hours-a-day in case of emergencies. Your satisfaction and happiness are vital to us We will match your Care Workers to your needs. They will respect your dignity, beliefs and freedom of choice and you will always be able to change any individual that you don’t feel compatible with for any reason. 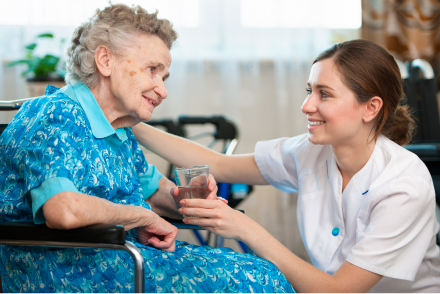 That happens occasionally to clients, and since you will spend a lot of time together, we regard it as paramount that you feel entirely comfortable with your Care Workers.